If you find yourself in a small town don’t despair, if you look in the right places there’s plenty of interesting stuff to do. 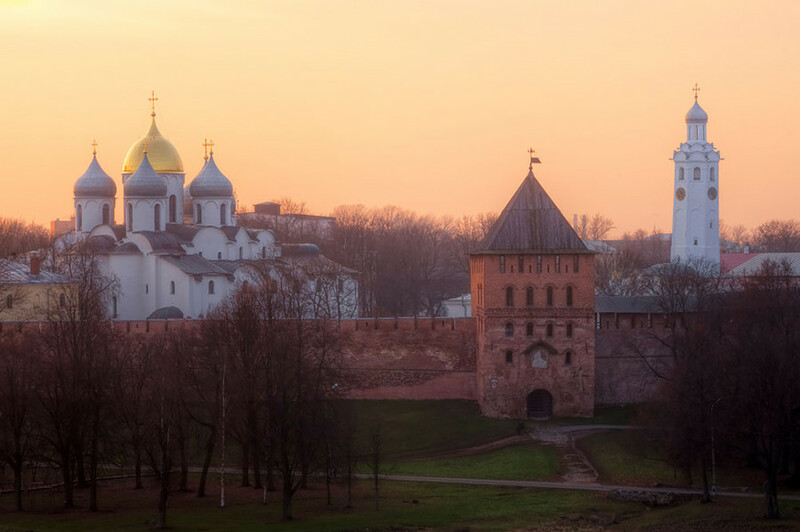 Here’s our guide to getting the most out of provincial Russia. Some Russian towns are still waiting for their first Big Mac, and as for Craft Burger - that’s something completely exotic to them. But what you will definitely find everywhere in the Russian sticks is authentic remnants of the past such as canteens and kulinariyas (deli shops). 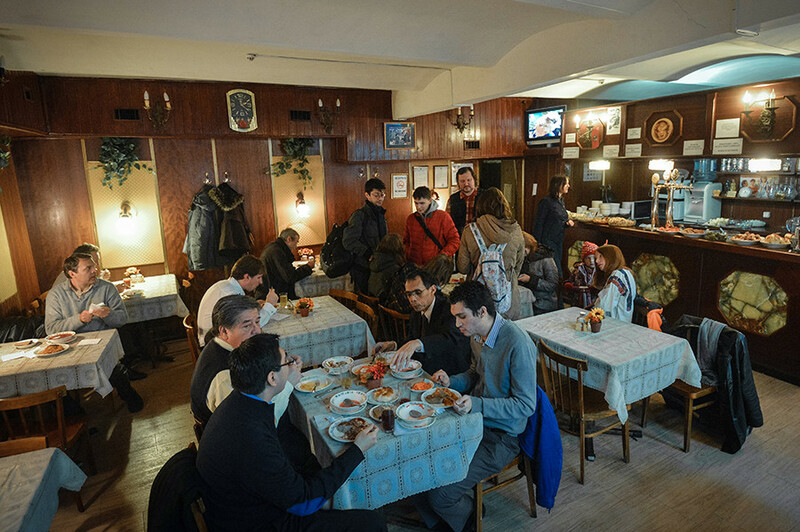 They offer classic Soviet food that remains popular with local residents. Such places usually don't have names. At most they’re referred to by numbers like "Canteen No 1." Their main features: They are cheap (you can have a three-course lunch for 150 rubles or $2.6) and the food is home-made. Borsch, Olivier salad, Belyash (fried pastry stuffed with meat), chicken Kiev, mimosa salad, eclairs stuffed with rich buttery cream - here you’ll find all of Russia’s gastronomic gems in one place. Russians don’t only visit these joints to fill their bellies but also because they feel nostalgic for their Soviet childhood. As a result people are happy to ignore the heady smell (after a visit your clothes will whiff of the day's specials) and the intrusive mops wielded by their cleaning ladies who at any moment will ask you to lift your feet so they can wipe the floor. An obvious advantage Russian provincial towns have is that taxis are very cheap there. Often you can hire one for $1-$1.5 and tour the whole town while sightseeing through the window. The best option is to use app-based taxi services (for instance, many regions have Yandex Taxi, Uber, or Vezet Taxi) to avoid being fleeced (not all taxi drivers in Russia are honest). And an even better option is to take a local guide with you. Never mind that he/she is Russian and doesn't speak a word of your language. They will gesticulate wildly at monuments and other points of interest, as well as giving directions to the taxi driver on your behalf. For real thrill-seekers there is the marshrutka, a hybrid between a taxi and a bus - you can read about it here. In this case you will experience daredevil driving and literally rubbing shoulders with the locals (these vehicles are pretty cramped) while classic hits boom from the radio. During rush hour, drivers often ignore the regulations and take more passengers than the number of seats in their marshrutkas. Then people have to travel standing up. Try to avoid this if you can. You will experience daredevil driving and literally rubbing shoulders with the locals (these vehicles are pretty cramped) while classic hits boom from the radio. Once a year, fifth-formers are dragged here to be told the history of the local area - whether they like it or not. Usually such museums have no multimedia installations or interactive devices. On the ground floor you'll find stuffed wild boar and birds, and on the first (if there is one) an ethnographic exposition with mannequins in regional costumes. These places are usually dead quiet and smell of mothballs. 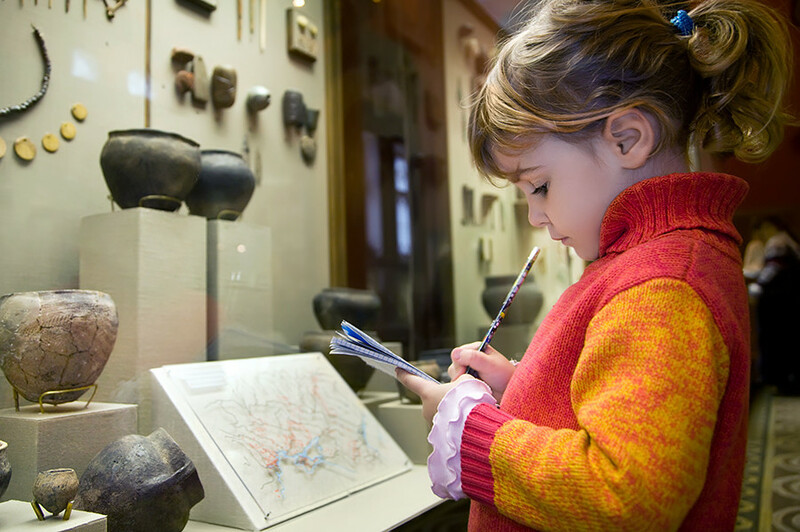 Local history museums may store all sorts of historical dross - from a pen that once belonged to a local dignitary to a revolutionary headband, as well as scores of other objects of varying historical significance. But among them you will definitely find something that will make your visit worthwhile. And it doesn't have to be a precious historical exhibit. It will probably tell you more about the town and its people than the sort of tour guide mentioned in point 2. On the ground floor you'll find stuffed wild boar and birds, and on the first (if there is one) an ethnographic exposition. If you happen to be in the provinces during the summer, go to a local water reservoir. Here you'll see Russian provincial charm in all its glory. Yes, every other person here declares themselves to be the main DJ of the beach, with hits way past their sell-by date blaring from every possible direction. 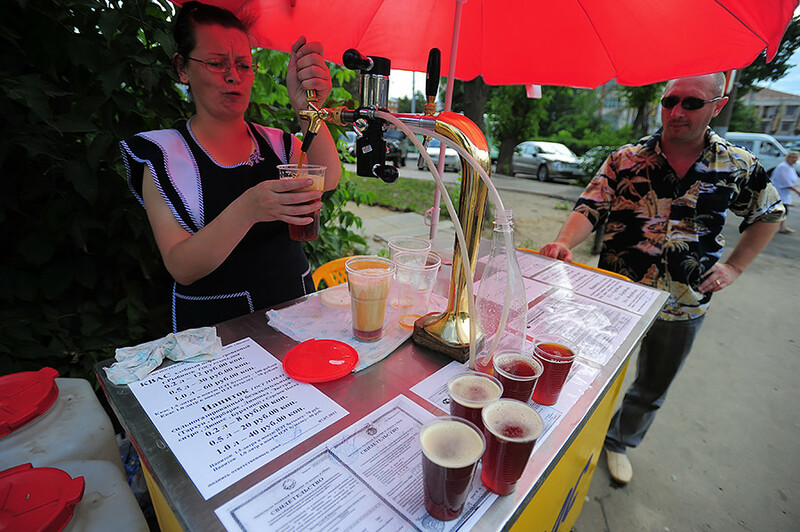 But the main thing here is to relax and try to enjoy the local flavor - whatever that may be. While you’re here, just for fun, try to catch a kvas (a non-alcoholic Russian beverage) seller, or buy some beer or crisps from the guys cruising back and forth along the shoreline. They’re not shy in letting people know what’s in their portable larders. If you don't understand what they’re saying, watch the local holidaymakers - and note which vendor’s appearance sets them fidgeting and then dashing over proffering their money. In winter, traditionally the most enjoyable pastime in the Russian countryside is sliding down snow-covered slopes. A high hill, as well as a piece of cardboard (or a plastic bag) to sit on, are all you need to have fun. Here you'll see Russian provincial charm in all its glory. 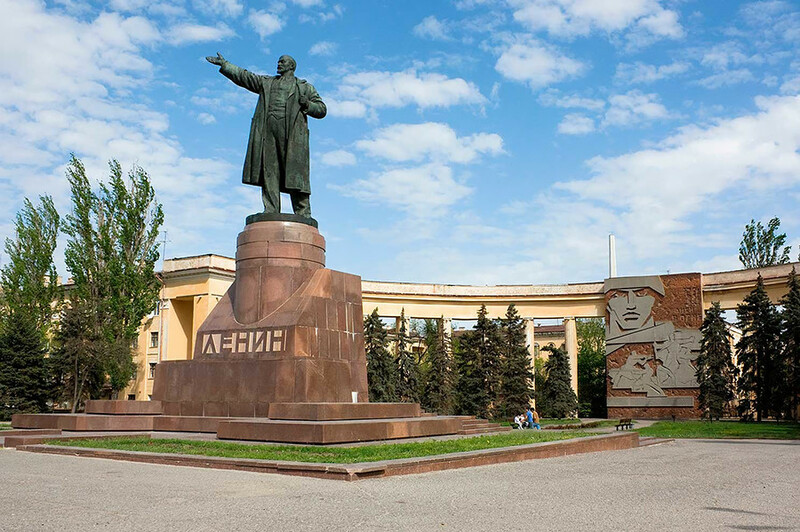 In every Russian town there is a monument to Vladimir Lenin. It is a constant that has become an integral part of the provincial Russian landscape. You might think the legendary Soviet leader would look the same everywhere - far from it! Try to find a statue of Lenin and look closely at his face. Most probably you will notice similarities in appearance with the local population. For example, in Buryatia (eastern Siberia) Lenin will look a little like a Buryat...call it artistic licence. Old Orthodox Christian churches in the Russian provinces are very beautiful. Particularly inside. Every town has at least one church built before our time (and usually many, many more). It doesn't matter what religion (if any) you belong to - to visit a church you don't need a cross around your neck or proof of your faith. They won't kick you out if you behave respectfully. Just remember, take off your hat and don’t talk on the phone or take photos. Also, don’t step on the altar, it’s only for the clergy. If you want to know more about the Russian provinces, read about whether Russians really drink as much as you think they do.